Sleep more. Stress less. Exercise more. Eat less. The resolution list goes on and on…and so does the pressure to live up to all of the big goals you set on January 1st. And amid all the anxiety you feel to stress less, it’s no wonder only 8% of people keep their New Year’s resolutions, with most returning to their old habits by February. We get it. The start of a new year signifies a new beginning and it’s an easy place to hang your goals. However, every sunrise, every new tide rolling in and every Monday on your calendar offers that same sense of beginning. So this resolution season we’re trying something new. We’re looking at every day as an opportunity to be our best and, if we need it, a chance to reset. We’re keeping our glass half full. In life and in blender cups, we like to keep our glass at least half full. Positivity and a sunny outlook on life have done us well so far, so when life hands us limes, we’re going to continue to make margaritas. Car breaks down? Look on the bright side. Bad day at work? It’s always 5 o’Clock somewhere. We’re treating our body like a temple. Let’s be honest, we’re never going to turn down a tailgate or a party on the beach. That said, life is about balance and we recognize the need to take care of our bodies. 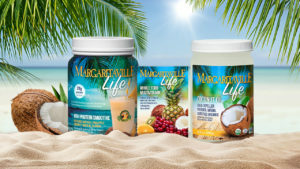 Margaritaville Life products are an easy and tasty way to improve health, energy and vitality…and they give us an edge on the pickleball courts. We’re taking time to stop and smell the hibiscus. Or the salty air. Or the BBQ. It’s important to take time for yourself, get outside and do more of what makes you happy. And science is on our side…recent research suggests that the way of life inspired by Jimmy Buffett is good for a happy mind and a healthy body, and could lengthen your life. We’re living outside our (sand)box. Staying in your comfort zone is, well, comfortable, but this year we’re aiming to try new things. Let’s cross items off our bucket list, take the trips we’ve been putting off or learn how to cook or surf. Carpe Diem, y’all. Let us know how you’re reasoning with resolution season with #ResolutionSeason2018. 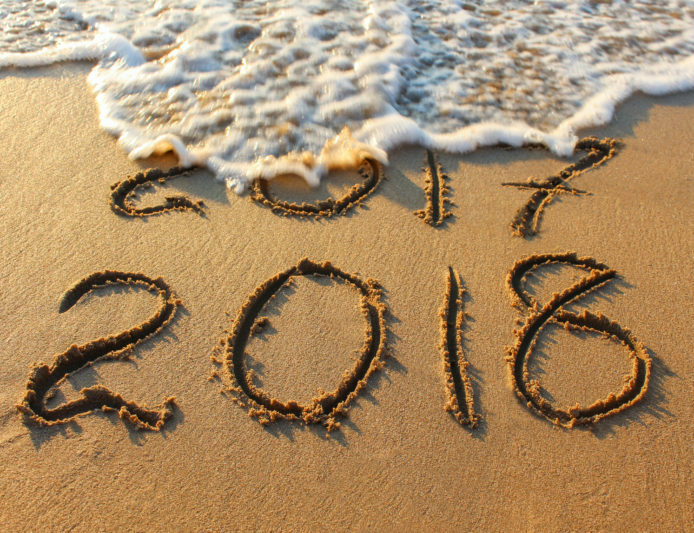 Now let’s breathe in, breathe out and move on to a FINtastic 2018! Happy New Year!